When we are having different environments(stagig, uat, live etc) and want to sync all cms pages and blocks in all environemnts, It is not a good idea to manully update each and every CMS blocks/Pages. Magento's data install/upgrade script can be used for this purpose which will run on all environments immediately after the deployment and flush the cache storage. The cms data install/upgrade script can be created in any local module, but I would recommend to create a new module in local code pool with name "Namespace_CMS"(here I have used the namespace as "Egits") to track the changes done on each install/upgrade. Follow below steps to get your CMS install/updates quickly on all environment without much manual effort. You must create a directory app/code/loca/Egits/Cms/data/egits_cms_setup to wrap all your data scripts. Here "egits_cms_setup" is the tag used in the above config.xml unders. 3. 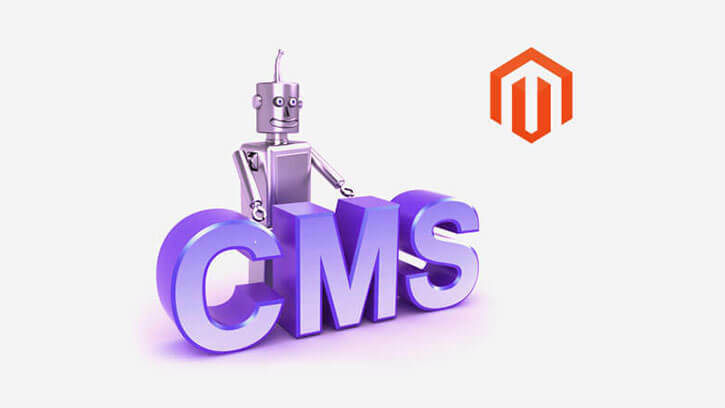 There are two ways to specify your cms content in magento data script. One is to add this in the upgrade script itself and the other is put it as a sperate html file in the data setup directory. The first one will make the code bulky and less readable. I would recommend the second option as it is easy for a developer to identify the changes in the file in html format rather than as a string. So here we can see how the second option can be implemented. To wrap the cms blocks update, create a new directory app/code/loca/Egits/Cms/data/egits_cms_setup/cms_block_0.1.0/ and for cms pages updates(if any) create app/code/loca/Egits/Cms/data/egits_cms_setup/cms_pages_0.1.0/. The version number appended with the directory name will increase the readablity and we can easily identify which content was used on an update. 4. Add updated cms block/page content in the newly created directory in html format. Here, for CMS block, add it under cms_block_0.1.0 and for pages cms_pages_0.1.0. For creating a new static block with identifier "custom_footer_links": create a .html file with the content app/code/loca/Egits/Cms/data/egits_cms_setup/cms_block_0.1.0/custom_footer_links.html. Doing this as last step will make sure the script is not executed without your knowledge in case if you refresh the page in browser. 6. Flush All Cache types & refresh the page. Once you deploy your code to any of your environments and flush the cache storage, the upgrade script will automatically execute and the changes will be reflected immediately.